So you are planning to visit Morocco? 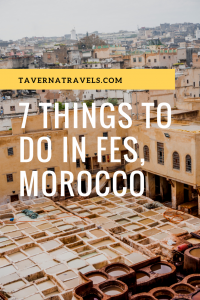 Let’s start with the 7 best things to do in Fes! 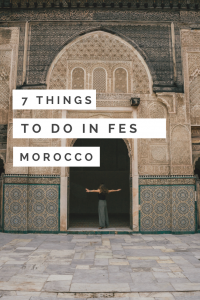 While planning my trip I was a bit torn on whether or not to include Fes into the itinerary. I read quite a few mixed reviews on the city, but ultimately we decided to give it a go ourselves! I say this like you have a choice, but in reality it is nearly impossible to NOT get lost in the medina. I pride myself with generally being quite good with directions, however the winding maze of Fes’ medina is enough to challenge even the most directionally savage travelers. 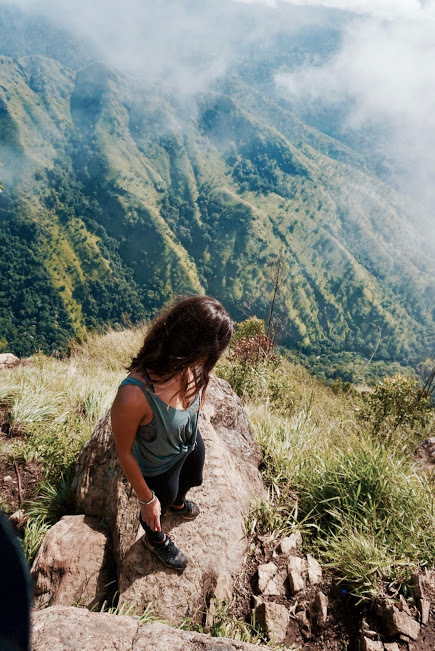 Therefore, we found the best way to explore the area was to simply let yourself get lost! 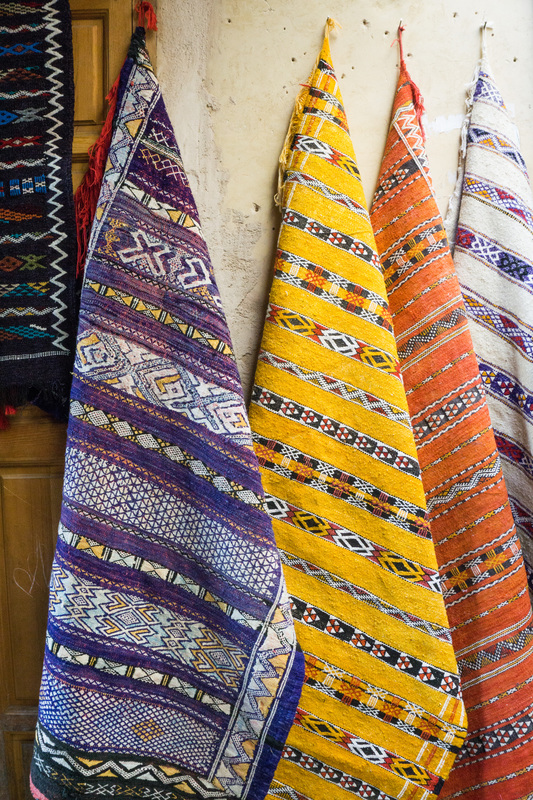 This is truly one of the best things to do in Fes. 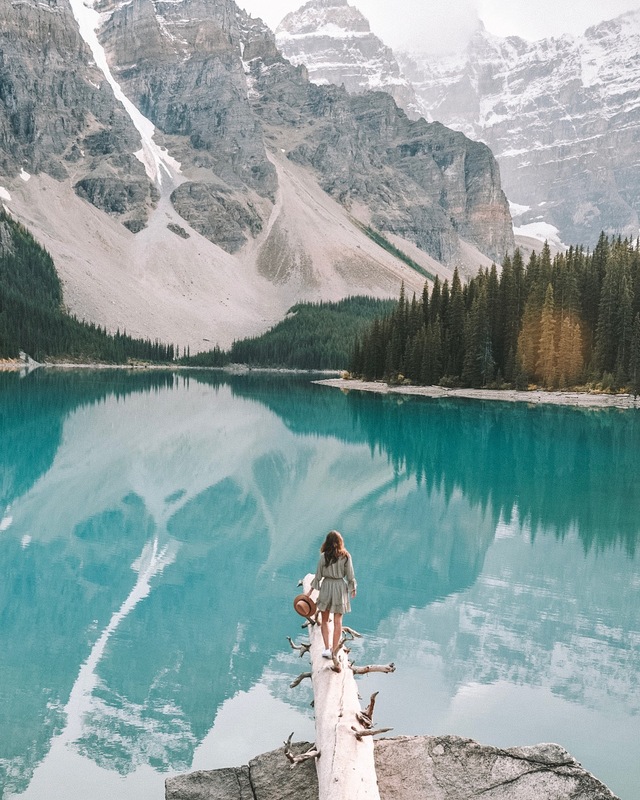 **Unfortunately, some of the less friendly locals will try to take advantage of this, trying to direct you for money or by insisting that the road ahead is closed. Word of advice, the road is NOT closed 95% of the time. I found that it is best to politely reject their offer and continue walking. 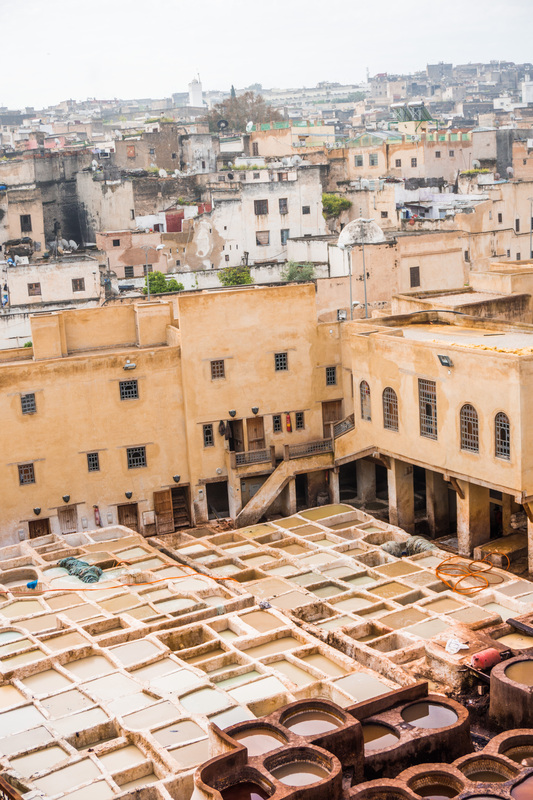 This madrasa is definitely one of the highlights of Fes and should not be missed. This establishment that once served as an educational facility and congregational mosque is now open for public viewing. The best part? 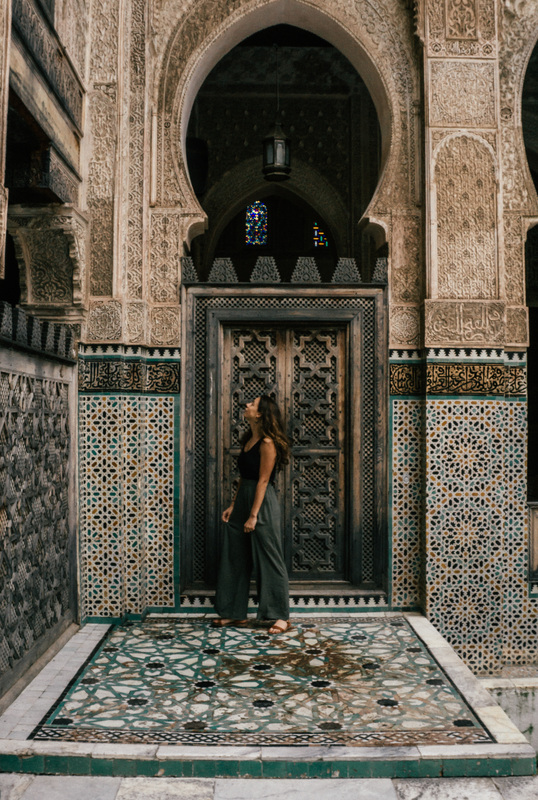 Despite the madrasa’s beautiful architecture and tile work, it is much less popular than the bigger mosques and palaces in Marrakech. At one point during our visit we actually had the entire place to ourselves! Hoping to visit the desert while in Morocco? Read my how-to camel riding guide here! 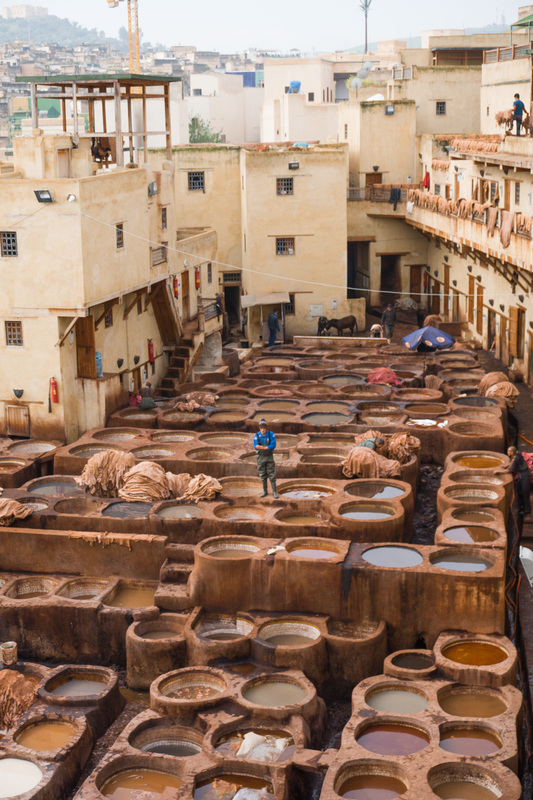 A visit to the tanneries is a must on your list on things to do in Fes! We found the process so fascinating. I had no idea that they actually used pigeon poop in the production of leather! There are, however, a few things to note that will make your visit a lot more enjoyable! First, the smell isn’t the most pleasant, however it is definitely more manageable in the morning before the day is too hot. Secondly, in order to get the best view of the tannery you will need to visit one of the surrounding rooftops. I recommend making your way to Shop 64. The guys here took us up to the rooftop free of charge, thoroughly explained the process to us, and didn’t push up to buy their leather products. We gratefully tipped them for their help! After 2 weeks in Morocco this beautiful restaurant was definitely an all time favorite. The grounds of the restaurant serve as a quiet oasis in the midst of Fes’ madness. The food here is served tapas style, with many of the dishes costing as little as 20 MAD ($2 USD). 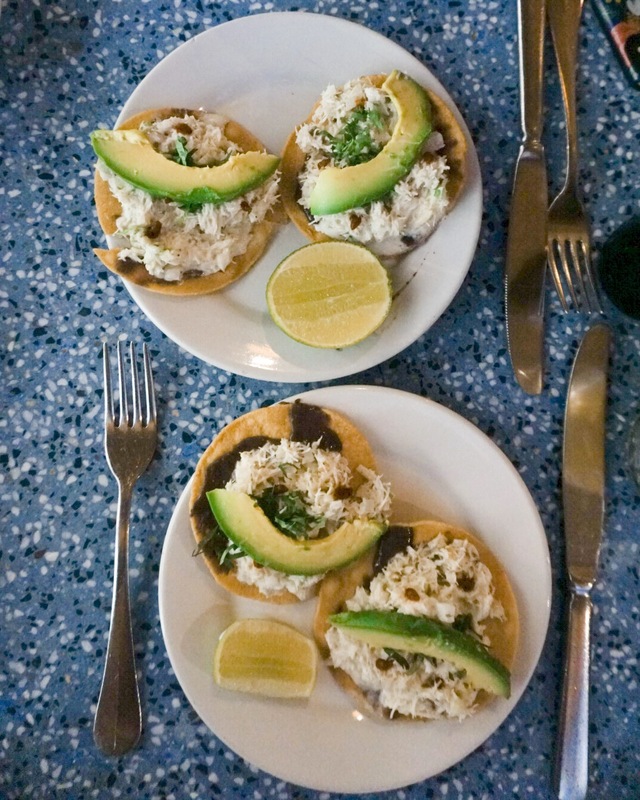 We found that five dishes split between two people was more than enough! Not sure what to wear? 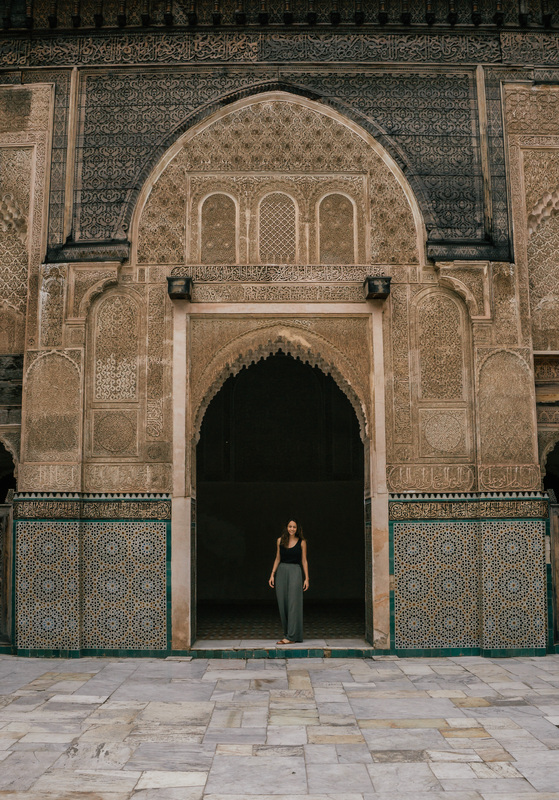 Read my post on What to Pack for Morocco: Female Edition here! My experience at the local hammam is one that probably deserves it’s own post, however for the sake of this post I will provide you with a quick snippet of my experience. Rather than visiting on of the fancier spas, I had my hostel help me to arrange a more local experience. 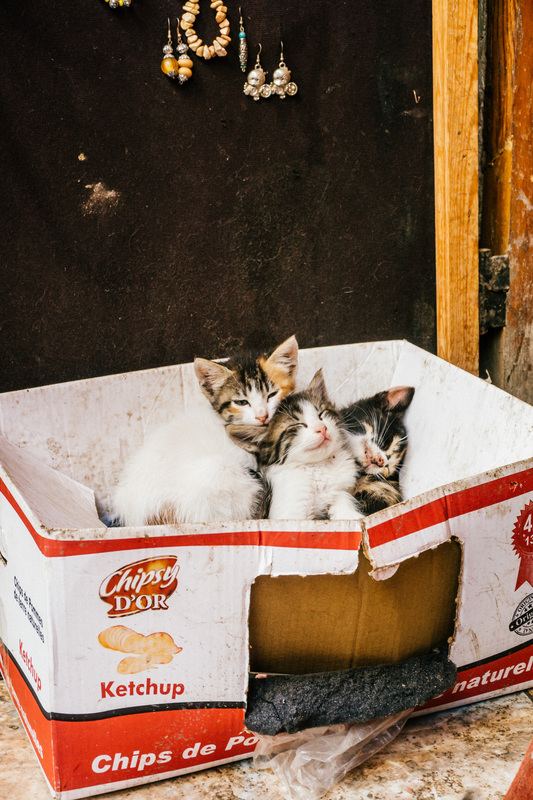 For 120 MAD ($13 USD) I was picked up an escorted down a small alleyway and into the basement of an old building. Here I was introduced to the lady who would wash me. As this was considered to be a public bathhouse, you are expected to bring your own soap, bucket, scrub, etc. Since I booked with the hostel they provided everything for me (typical entrance fees cost closer to 2 MAD ($2 USD), however I was happy to pay the extra money for the convenience factor. What you will find is a room full of naked local women laying on the floor of a tiled room washing themselves and each other. I was expected to strip down (although you are free to leave your underwear on) and I was then instructed to lay on the floor while an equally naked local woman scrubbed me down. While many aspects of this experience had me feeling a bit self conscious and out of place, it was by far one of the most unique experiences that I’ve ever had. 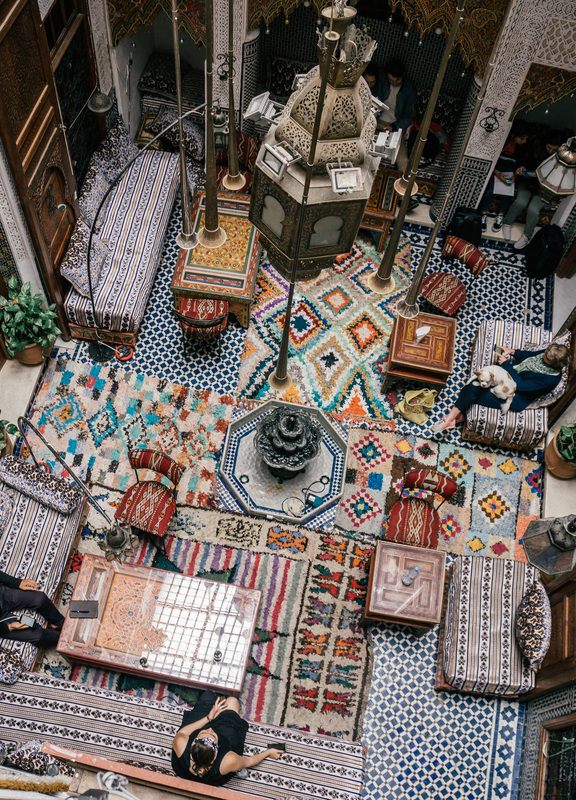 If you are looking for things to do in Fes then I definitely recommend giving it a try while in town! 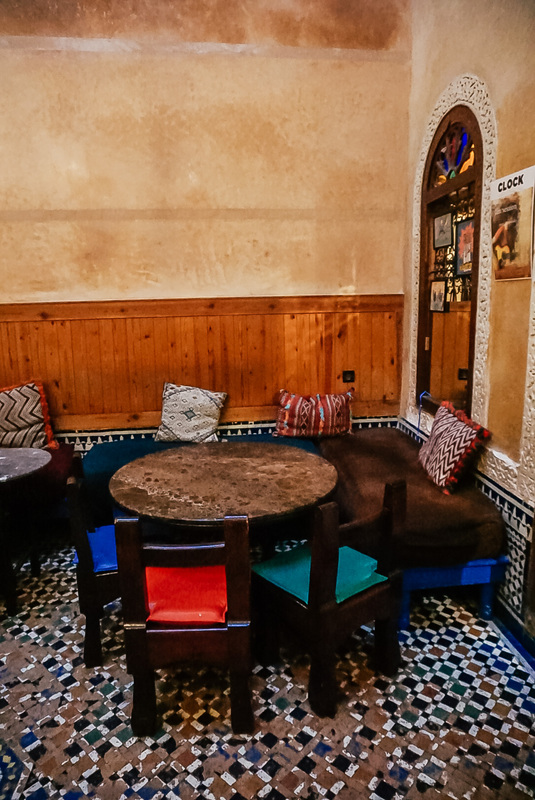 Riad Verus is a hostel located within the Medina walls of Fes. 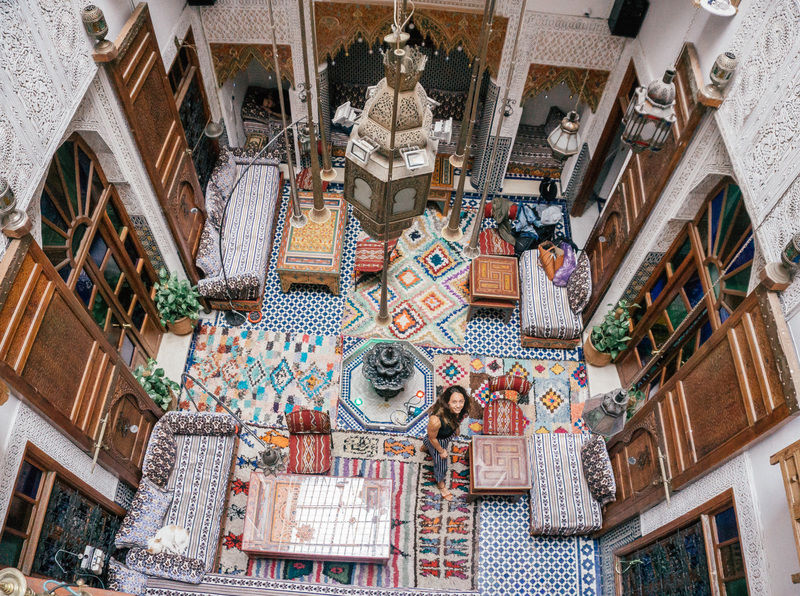 I have stayed in over one hundred hostels all over the world and Riad Verus was definitely one of the most unique. 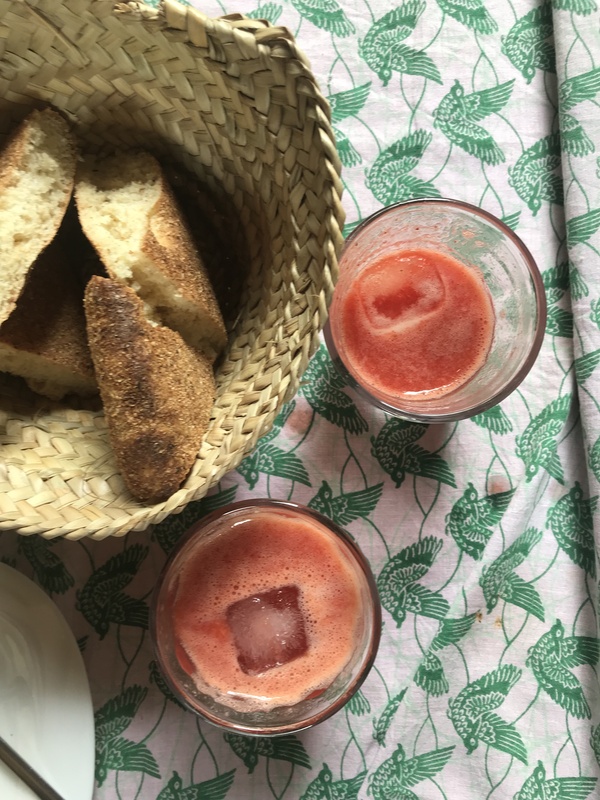 The hostel is centrally located, prepares an amazing breakfast with fresh squeezed orange juice, and has a lovely common area for meeting fellow travelers. I definitely recommend giving this spot a try if you are looking to stay centrally while on a budget. I usually like to try a ton of new restaurants, but we loved Cafe Clock so much that we ate here three times! 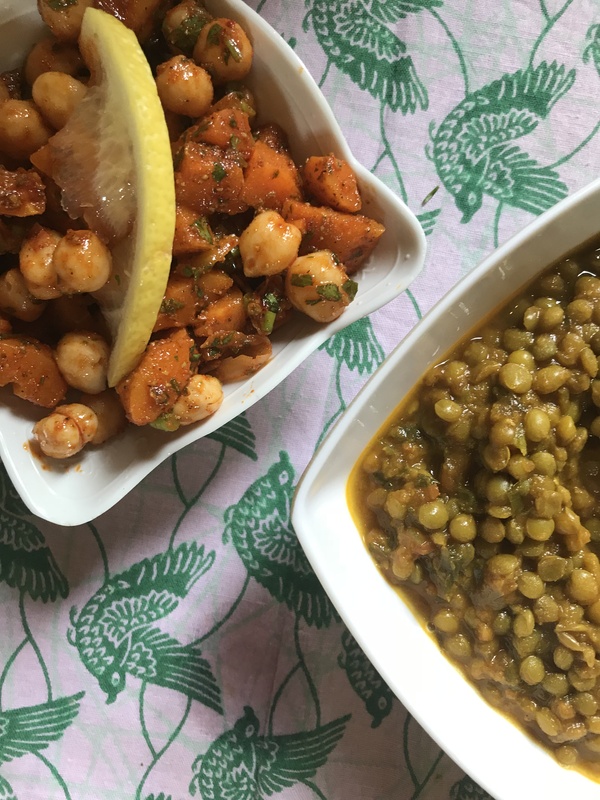 The menu offers a bit more variety than your standard Moroccan restaurant and the views from the rooftop are great! 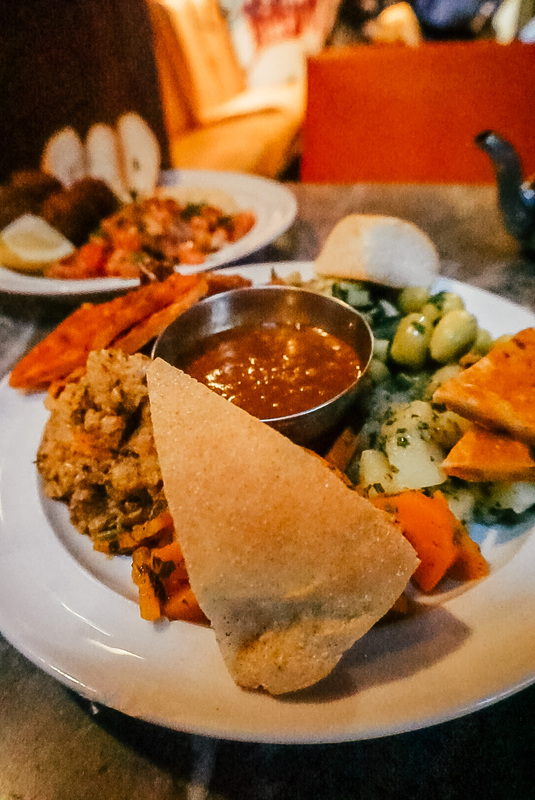 I recommend trying out the falafel plate and the assorted tapas. They are also famous for their camel burgers, however I am not a big meat eater myself. As you wander the Medina you will find plenty of stands selling local deserts. We loved our nightly after dinner ritual of picking out a bag of random sweets on the streets, usually totally to around 6-8 MAD for a handful of picks (less than $1 USD). 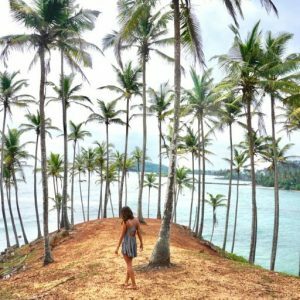 Seven reasons you need to visit Sri Lanka now - a photo guide! 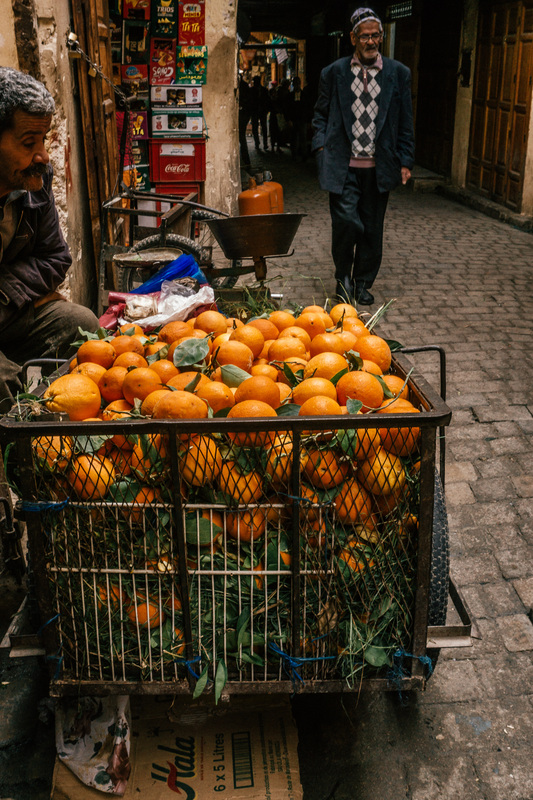 Wow I am now officially hooked to Morocco thanks to your pictures <3 I would love to see the Medina myself, lovely colors there! Thanks for sharing.